"Best open source OS for microcontrollers ." First of all till now I have found it to be the best OS for microcontrollers which help to program, deploy, secure and manage small and low power edge devices. By the help of software libraries, it makes easy to securely connect the small and low power edge devices to AWS cloud services. The advantage of large ecosystem of existing tools developed for the FreeRTOS kernel can be easily taken through with Amazon FreeRTOS. I have found a few points which I don't like at all. The usage of services and functions is very complex to use and the amount of services are overwhelming . 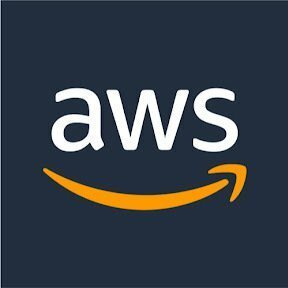 Amazon FreeRTOS provides free and open source security and connectivity libraries that are designed to work with, are tested with, and are supplied fully integrated with.The using of FreeRTOS makes everything faster and easier.Now its very easy for me to find if my device will run Amazon FreeRTOS and interoperate with AWS IoT services or not. This software is easy for applications to connect to AWS IoT & AWS Greengrass, directly, and without having smart gateways acting as intermediaries. At start up you get components for basic MQTT communication, AWS endpoint discovery, over the air firmware updates, and others. As a great plus lightweight devices, sensors and actuators, can be implemented using this system as they will use MQTT to communicate with the Greengrass core, eliminating the need to integrate other communications protocols to the system. This is just the beginning of the system project. We will update further on as the project progresses. There are security issues with the system that has added risk that could lead to information leaking, a denial of service attack and other threats. And another is that the CPU loads at 100 percent for some seconds. Don't know why this is necessary, and not sure as to what is going on to have that happen. But the security threats are the most important of my dislikes. Would like to see what they do with that regard. There are other options such as CoreOS but just try it out. So far, we are in the beginning stages of the trying the system against CoreOS. What IoT Operating Systems solution do you use? "What I think about Amazon FreeRTOS"
It is a low-cost and very efficient program/app, with a secure operating system. I am able to connect to the cloud easily. It only runs a trusted software, using the Code Signing service. I can connect with anything from fitness trackers, to security systems, to most household appliances. I'll have to admit that it took me quite some time to learn about Amazon FreeRTOS. Actually, there's still a lot to learn. I found myself getting extremely frustrated and had to "walk away from" it for a while. I am able to connect my Amazon FreeRTOS device, and with Bluetooth it uses "Bluetooth Low Energy." I can do all this with my Android phone. However, I use wifi, so this helps with the lower power issues. AWS FreeRTOS provides the most light weight micro-kernel for IOT applications. It supports many low-cost versatile boards and chip-sets. It is compatible with AWS lambdas and integrates easily with ETL and M.L products of AWS. Emulator for windows helps lower production time by more than 80% enabling much faster ROI's, with easy change management. Needs a wireless operator for IOT connectivity, it is not integrated into AWS. It is a light weight and efficient micro-kernel, I am glad, Amazon supports integration with this kernel, an easy deployment for IOT based environmental data gathering and smart device operation. Using AWS FreeRTOS for IOT stickers, without sim cards, integrating BT and WiFi with Wireless connectivity to AWS using AWS Glue for IOT plant designs. "IoT on cloud made easy "
We were trying to integrate data tracker tech into some parts of the car which was first hard to integrate and configuring the whole thing for test would have been a nightmare. Freertos made it a day for us. "Great product. Loved it. " It helps to protect and keep all of my data secure. Never had any problems or loss of data. I have loved it so far. Nothing honestly, the product doesn’t cost anything to use and has worked perfectly so far. I am able to keep my data secure without having to worry about any viruses getting in. It’s an open source operating system that has shown me how essential libraries that has information on making your phone easier to use. Amazon FreeRTOS gives you the flexibility to easily build IoT solutions on a variety of chipsets and supports a variety of architectures. "Good Product..but a bit complicated"
Connecting it to cloud and managing the services of it. The user interface is the best I have used lik e it! Actually this minus a little buffering time is very solid. It really seems to streamline alot if day for day ops. "Easy to connect to Cloud "
Makes MCUs easy to program and manage, and to be connected to AWS cloud services. Not all micro controllers are supported. But most major ones are. Easy to start. Tutorials and supports are readily available. Very efficient for data collection since it’s connected to cloud. I really like the ease and use of the software. At the moment I really don't any dislikes. Nothing. I wouldn't change anything at all. * We monitor all Amazon FreeRTOS reviews to prevent fraudulent reviews and keep review quality high. We do not post reviews by company employees or direct competitors. Validated reviews require the user to submit a screenshot of the product containing their user ID, in order to verify a user is an actual user of the product. Hi there! Are you looking to implement a solution like Amazon FreeRTOS?